What Freshbooks Triggers and Actions are Supported? New Task - Triggers for new task in a project or account. Any Account Activity - Triggers instantly on your choice of records either created or updated. New Filtered Invoice - Select which invoices trigger, for example, 30 days past due and unpaid (with line item support). New Contact - Triggers when a new contact is added for a client. New Client - Triggers when a new client is added. New Time Entry - Triggers for new time entries in any project. New Invoice - Triggers when a new invoice is created (with line item support). New Expense - Triggers when a new estimate is added and when the "date of issue" is today. In other words, this will never trigger if "date of issue" is in the past and will eventually trigger if "date of issue" is in the future. New Payment - Triggers when a new payment is created. New Estimate - Triggers when a new estimate is added and when the "date of issue" is today. In other words, this will never trigger if "date of issue" is in the past and will eventually trigger if "date of issue" is in the future. New Staff Member - Triggers when there is a new staff member created. Create Paid Invoice - Create a new invoice and mark it as paid. Create Invoice - Create an invoice, and optionally send it. Create Estimate - Given a Client, create a new Estimate for them inside Freshbooks. Send Invoice - Given an invoice ID, send an invoice by email or snail mail. Create Task - Create a new task automatically. Create Project - Create a new project automatically. Create Product (Item) - Create a new product (called an Item) inside Freshbooks. Create Client - Create a new client automatically. Create Invoice - Create an invoice, and optionally send it (with line item support). Find a Client - Finds a client by email or username. 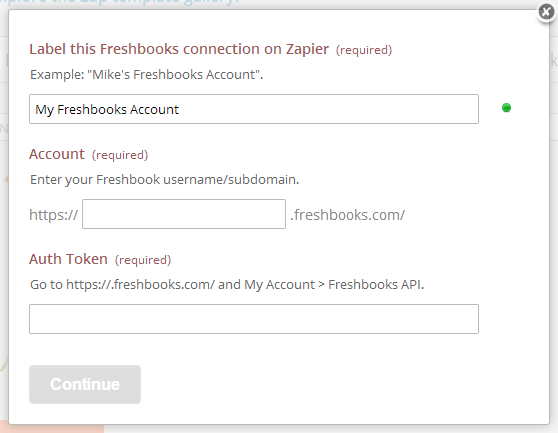 To get started with Freshbooks, first click to connect a Freshbooks account in your zap. This brings up a form where you fill in your account details. First you will name the account. It can be named anything you want; it is only used to help you identify the account inside of Zapier. Next, provide the URL you use to login to Freshbooks. When you are finished, you will now have your Freshbooks account connected! Freshbooks has some granular user permissions. 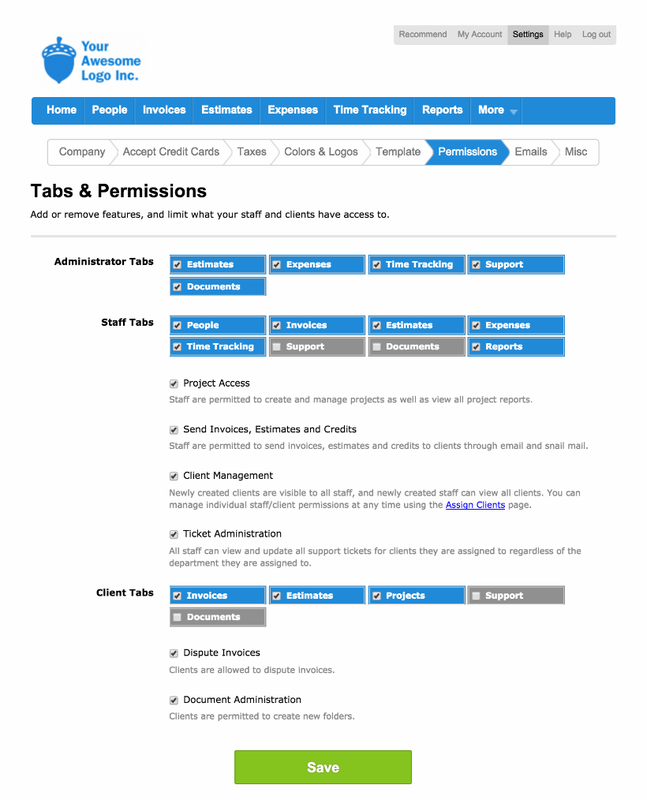 In order to access Client data, the account that is connecting to Freshbooks via Zapier needs to have "Client Management Permissions"
You can find more information about how to change these settings here.